On the back of the recently concluded Insurance Risk and Research Conference, Singapore company registration specialist Rikvin is confident that insurers in Asia Pacific are in good stead to tap growth opportunities in the industry. Additionally, they are well-positioned to move up the value chain by leading the region in insurance risk research. As conveyed by the Monetary Authority of Singapore’s Assistant Managing Director Ng Nam, the increasing affluence coupled with rising population growth in the Asia Pacific presents multiple opportunities for insurers. 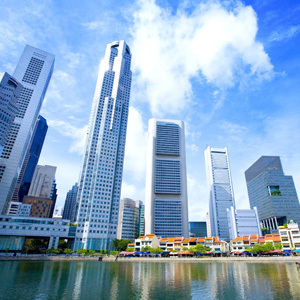 As home to 156 registered insurers, Singapore is a leading insurance center in the Asia Pacific region. This in turn positions Singapore favorably as a center for insurance risk research in Asia Pacific. Between 2005 and 2010, gross premiums (ex-Japan) have increased by about 16% per annum. Additionally, data from Swiss Re shows that life insurance premiums in Asia is set to grow by 4.4% in real terms this year. China and India are expected to demonstrate the largest growth in developing Asia by 11% and 7.5% growth respectively. In developed Asia, Hong Kong, Australia, Korea and Singapore lead the pack for life insurance premium growth rates. However, non-life insurance premiums are not expected to grow as robustly, given the modest growth forecast amidst the Euro debt crisis. “Other than offering insurance products, firms can move up the value chain and tap the resources offered in Singapore to contribute to research efforts that would advance the risk management offerings sought by Asian businesses,” added Mr. Bakhda. To date, one of salient partnerships to advance insurance research in the region is the Insurance Risk and Finance Research Center (IRFRC) – a partnership between Nanyang Business School (NBS) and global reinsurer SCOR. The three major risks that insurers can contribute to are 1) catastrophes, 2) longer lifespan trends in Asia and 3) macroeconomic and systemic risks in the region. Catastrophes or natural disasters such as the Japan March 2011 and New Zealand’s February 2011 earthquakes as well as the October 2011 Bangkok floods registered insured losses between US$14 billion to US$35 billion each. The Asia Pacific region faces longevity risks due to longer life spans and an increasing silvering population. In Singapore alone, the proportion of senior citizens is 1:10 in 2012. The growth rate of the silvering population is expected to crawl 6% per annum until 2020. Companies are facing increased risks in recent years due to increasingly complex business environments, financial volatility, rapid technological advances and significant regulatory changes. For example, changes pertaining to singapore tax structure, work visas or fiscal policies are changing the way business are functioning in the republic. “Should research activity gain traction, Singapore could attract more firms to contribute to high quality intel that benefits not only the insurance industry, but the business community as a whole. This in turn positions Singapore not only as a center for thought leadership on Asian risk and risk management, but a high-value added business ecosystem,” affirmed Mr. Bakhda.